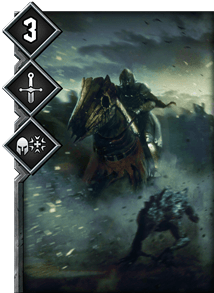 Wild Hunt Rider is a Monster Card in Gwent. When Played: Plays every other copy of this card in your Deck and Hand at the same time. Passive: Doubles its Strength when Frost glyph is on the battlefield.